I was unable to gain access into my house after I had lost my keys. I contacted Gateway Locks and within 30 minutes they were at my premises. They managed to get me inside my premises safely and securely. I would highly recommend this company to anyone looking for a polite, professional and prompt service. My mother owns a fast food shop and we seem to have a little bit of trouble with the youngsters in our area. We decided to get a shop shutter/grill installed and we now feel a lot safer. The gentleman who dealt with our enquiry was so pleasant to work with from start to finish. Very reasonable and polite. 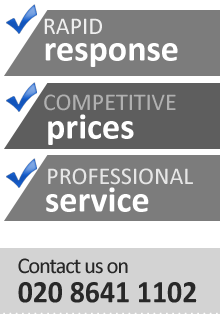 If you're looking for a professional and reliable locksmith in your local area, don't hesitate to call this company. I have been using Gateway Locks for almost a year now and never had a problem with them. I can now get into my house! I thought it would cost me a lot to get new locks fitted, but this was not the case. 10 out of 10 for service.